Welcome to spring with “Jennifer Aniston” eau de parfum. It’s spring time and my soul awaits its magic. but with the last snow in the forecast it is still playing hide and seek with colorful and exciting spring. Spring time is a time for renewal and rebirth. and what a perfect time to fall in love with a new perfume. Just in time for Spring-Summer fragrance season, Jennifer Aniston debuted her new fragrance in the United States. ” Jennifer Aniston ” eau de parfum. ” I wanted this fragrance to be a personal library of scent memories. For example, my love of night-blooming Jasmine has lasted a lifetime. Growing up in california, I distinctly remember the scent of Jasmine on summer evenings. I consider the scent of the ocean to be one of life’s most uplifting sensual experiences. No aroma is quite so purifying, humbling and exhilarating. Falic Fashion Group helped Jennifer bring her idea to live. was shot in Cabo San Lucas , Mexico by Mario Sorrenti. Idea for the bottle came from Jennifer’s love for architecture . ” the flow of a Frank Gahry building combined with the fluidity and organic form of a cresting wave.” was explained by its creator. 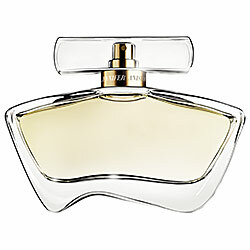 If you wish to experience the scent before you buy, it will be coming to Sephora retail stores at the end of March of 2011. As I spray it on my skin it is definitely and unmistakably a floral scent but in the fresh, lite and airy kind of way. with just a touch of powdery Amber at the end. Lasting power is very mild so my suggestion is to wear it in your hair or clothes. It will give you just enough of a nice and a pleasant ” Barely There ” scent to wear during a day. It is wonderful to wear for lunch with your girlfriends , fundraiser or to work. This fragrance is appropriate and can be enjoyed by ladies of any age. Brand New ” Jennifer Aniston ” eau de parfum.